Stem cells are the body's master cells, able to morph into any type of tissue, organ, or blood. Patient specific stem cells hold the promise of reversing cancer, diabetes, Alzheimer's and other diseases and also allow researchers to grow patient-specific organ and tissue transplants which will not require harmful anti-rejection drugs. Up until now, the stem cells produced from a patients own skin had within them remnants which made them unsafe (linked to health problems such as genetic disorders and cancer). Robert Lanza and a team led by Kwang Soo Kim of Harvard University succeeded in delivering the genes by fusing them with a cell penetrating peptide which does not pose the risk of genetic mutation. Their findings are published in the journal Cell Stem Cell. Their technique involves soaking cells in human proteins that turn back the clock biologically, making the cells behave like powerful embryonic stem cells. They plan to seek Food and Drug Administration permission to test the cells in people by next year. "This method eliminates the risks associated with genetic and chemical manipulation, and provides for the first time a potentially safe source of iPS cells for translation into the clinic," Lanza said. Only a tiny percentage of skin cells in the study transformed into iPS cells over two months (0.001%). University of New South Wales (UNSW) medical researchers have used stem cells cultured on a simple contact lens to restore sight to sufferers of blinding corneal disease. Stem cells from the patients’ own eyes were cultured on a common therapeutic contact lens which was then placed onto the damaged cornea for 10 days. “The procedure is totally simple and cheap,” said lead author of the study, UNSW’s Dr Nick Di Girolamo. Embryonic stem cell research is a "go"
President Obama has signed an executive order that expands federal funding for some embryonic stem cell research. A study done by researchers at Virginia Commonwealth University shows that 8 in 10 Americans "believe genetic testing should be made easily available to all those who need it." The same study shows that 57% of Americans think research using embryonic stem cells should be allowed. 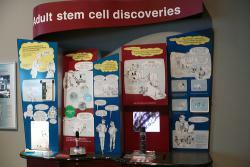 Buzz stories tagged "genetic testing"
A display on adult stem cells, here at the SMM: In fact, this exhibit features Catherine Verfaillie herself. (Good looking out, BK)Courtesy bryankennedyFollowing the results of an evaluation by a panel of experts at the University of Minnesota, the magazine New Scientist published an article last week announcing that some of the data used in a groundbreaking study on adult stem cells had been falsified. The study, performed at the University of Minnesota under the supervision of Catherine Verfaillie, is part of a line of research that seemed to indicate that adult stem cells, taken from bone marrow, are pluripotent—that is that they have the potential to develop into any type of cell. Previously, only embryonic stem cells were thought to be pluripotent, and Verfaillie’s research looked like it could eventually offer an alternative to the ethically complicated use of embryonic cells for research (which requires the destruction of an embryo). Unfortunately, other scientists had trouble replicating Verfaillie’s results, which were published in the journal Nature. New Scientist began examining the research done by Verfaillie and her team, and found that key images in the research appeared several times in papers for different experiments, and, in the case of a related study in the publication Blood, were used twice in the same paper, but had been visually altered slightly, and flipped 180 degrees. 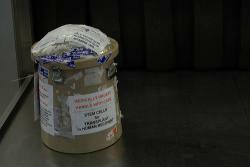 New Scientist reported their findings to the University, which began a formal investigation of the matter. The University just recently completed the investigation, and found that data in the blood article had indeed been falsified (the images in particular), by a former PhD student of Verfaillies’, Morayma Reyes. The University and Catherine Verfaillie have asked Blood to redact the study. Verfaillie has stated that she was unaware of the problems with the published study, and while she didn’t believe that the data was deliberately falsified, she takes ultimate responsibility for the errors. Reyes, who now works as an assistant professor at the University of Washington, denies that the images represent deliberately altered data, and blames the errors on inadequate supervision and training. She claims that she had neither the equipment (photo editing software) nor knowledge required to alter the images. The differences in the reoccurring images were likely the result of the inadvertent use of the image adjusting tools built into lab equipment, she says, and the duplication of a figure within the Blood paper was accidental. Reyes also feels that she has been treated unfairly by the University, and that the expert panel in the investigation demonstrated a clear “lack of expertise” in the field of stem cell biology. Reyes’ full position can be read here. The University’s response can be found here. The altered images, Reyes asserts, shouldn’t change the results of the paper, but the whole incident brings up some interesting issues on the process of vetting science. While the errors in the paper never should have made it past Verfaillie and the rest of her team, the process of peer review should have caught them anyway. Generally, before research is published in a scientific journal, the editors select several scientists in the particular field of the paper to evaluate and comment (often anonymously) on the paper. The review panel is meant to confirm that the methodology of the experiments and the interpretation of the results are sound. Research can then be recommended (or not) for publication. Publishing research essentially formally submits it to the scientific community, and it’s common for other scientists to attempt to replicate experiments, especially if a study makes particularly striking claims (like adult stem cells being pluripotent). The work of other scientists in replicating results is, obviously, essential to the scientific method—in this case is was what finally drew attention to some of the irregularities in Verfaillie’s team’s work. Reproducibility can be a tricky thing, though—difficulty in repeating results doesn’t necessarily mean that they aren’t reproducible. (Here’s a good article on repeating and reproducing results.) But the problems in reproducing these results drew attention to the questionable data, which brought up another aspect of scientific vetting: the University’s investigation into academic misconduct. If the problems with reproducibility seem to come from data being changed, added, or omitted to strengthen a conclusion, then there could be a serious problem. This sort of misconduct undermines scientific progress, and can call into question the reputation of the institution it came out of and the validity of other research performed there. And if Morayma Reyes seems a little extra defensive in her letter, it’s understandable, because being accused of academic misconduct is a big deal, and no good for your career and future work. The subject of the research further complicates the situation—this isn’t the first time issues of academic dishonesty have come up with regards to stem cell research. In 2006, a Korean scientist’s claims that he had cloned human embryos (thereby eliminating the need to destroy new embryos for stem cells) turned out to be based on lies. There’s a fear that the potentially huge medical payoff of stem cell research, as well as the ethical debate surrounding the use of human embryonic stem cells, could lead to science that is less than completely thorough, or even situations like the Korean controversy. And that’s bad for science in general. There’s also the thought that errors that are unintentional (as may be the case with Reyes’ images) could be the result of “pathological science,” where results are steered in a particular direction by scientists because of “subjective effects, wishful thinking, or threshold interactions.” It doesn’t have the same ethical problems, but pathological results aren’t a whole lot better for science than straight-out misconduct, and it’s a serious potential pitfall with the benefits of stem cell research waiting out there as temptations. So there you go. It looks like things are, for the most part, being handled appropriately in this situation, but it’s an interesting window into scientific process. Any thoughts? Does it seem like the vetting process of science is lacking in some way? Or is it maybe too thorough? Professor Reyes, I imagine, would argue that too much has been made of this situation, and there are many who argue that the process of peer review limits the communication and dissemination of scientific ideas. Or, even better, does it seem like I got something wrong here? University of North Carolina researchers have transformed cells from human skin into cells that produce insulin (click to read). “Not only have we shown that we can reprogram skin cells, but we have also demonstrated that these reprogrammed cells can be differentiated into insulin-producing cells which hold great therapeutic potential for diabetes,” said study lead author Yi Zhang, Ph.D., Howard Hughes Medical Institute investigator, professor of biochemistry and biophysics at UNC and member of the Lineberger Comprehensive Cancer Center. Using the new induced pluripotent stem cell (iPS) technique, researchers from Harvard Stem Cell Institute produced a robust new collection of disease-specific stem cell lines. Having these disease-specific iPS cells will allow researchers to watch the development of diseases in petri dishes, outside of the patients. HSCI iPS Core will produce these disease-specific cell lines for use by scientists around the world. The work is described in a paper published in the online edition of the journal Cell. Click here to read the full text of the paper titled, Disease-Specific Induced Pluripotent Stem Cells.The chief researchers were George Q. Daley, associate director of the Stem Cell Program at Children's Hospital Boston, and Chad Cowan and Konrad Hochedlinger of Massachusetts General Hospital. Click hear to listen to an 08/06/08 press conference with George Daley and Doug Melton (who is also co-chairman of Harvard's new interfaculty Department of Stem Cell and Regenerative Biology). 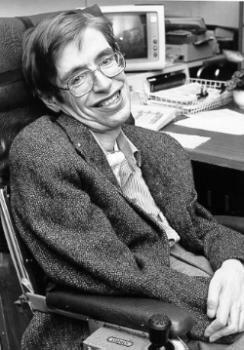 Stephen Hawking has amyotrophic lateral sclerosis (ALS), a disease that destroys motor neurons. So far, progress in understanding this disease has been relatively slow, mainly because it has been difficult to obtain a decent supply of living motor neurons affected by the condition. New research done by John Dimos and Kit Rodolfa from the Harvard Stem Cell Institute has created in the laboratory a plentiful supply of cells that have the same genetic makeup as a patient with a particular disease. A paper published online in the journal,Science, describes how they created the first stem cell lines from the skin of an elderly sick person, then coaxed these cells to become nerve cells genetically matched to those that had gone bad in a patient's spinal cord. 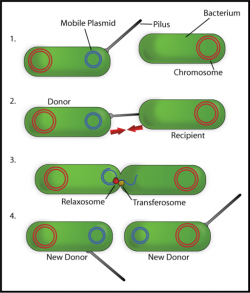 By comparing diseased cells to normal cells in a Petri dish, scientists hope to better understand what causes disease and test new drugs. 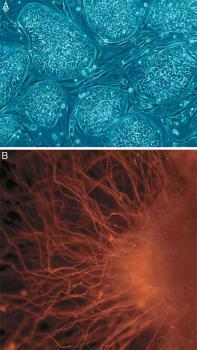 This research builds upon the research we posted Jan. 18 titled Human embryo cloned from skin.